To celebrate the 1st year anniversary of Room 13 we collected a big question from as many students, staff and friends as we could. I thought you might like to see the kind of questions we are exploring in a SOLE and the questions we are keen to ask. So for the next 5 Fridays I thought i’d share our top 5 SOLE questions that we love! 1. Why do penguins waddle? 2. How big is space? 4. Why do bones stop growing? 5, Why is fire hot? 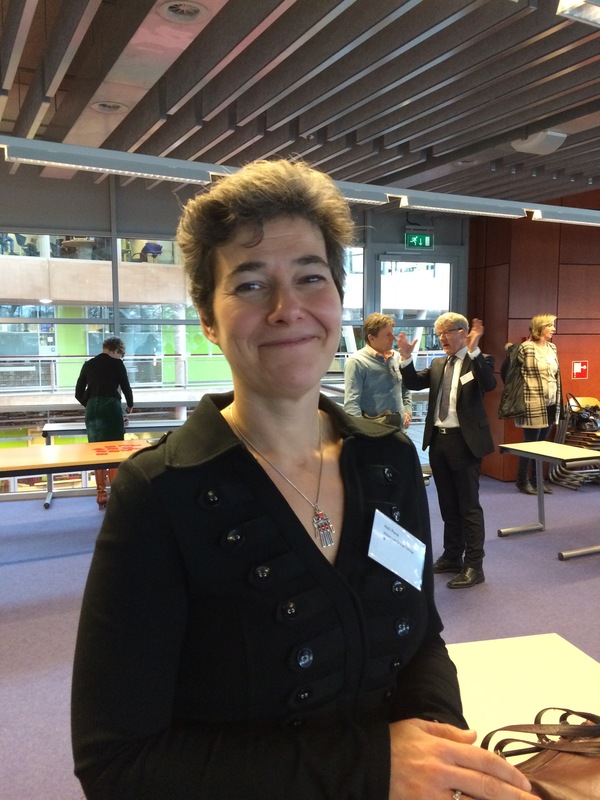 I was thrilled to be invited to be part of a ‘thinking for learning’ conference by Isselgroep and Anne from Thinking Well in Apeldoorn, Netherlands this February. It was a brilliant trip and a opportunity to reflect, share practice and generate ideas about thinking for learning. My colleague, Lorraine, from Durham University joined me and we met lots of lovely people during our visit. When we first arrived we went to a primary school and special school on the same site and listened to the wonderful Julie McGrane from Leading Learning speak at a seminar event about differentiation. We then visited Willem Van orange college, Waalwijk. They had organised a teachers’ conference and were exploring innovative learning. We had a tour of the school with Monja and ate “stompot” (mashed potato) with some of the colleagues who had been to visit us earlier in the year. We stayed with lovely Heli in her beautiful new house which she designed and built herself! Bob the dog seemed pleased to see us! 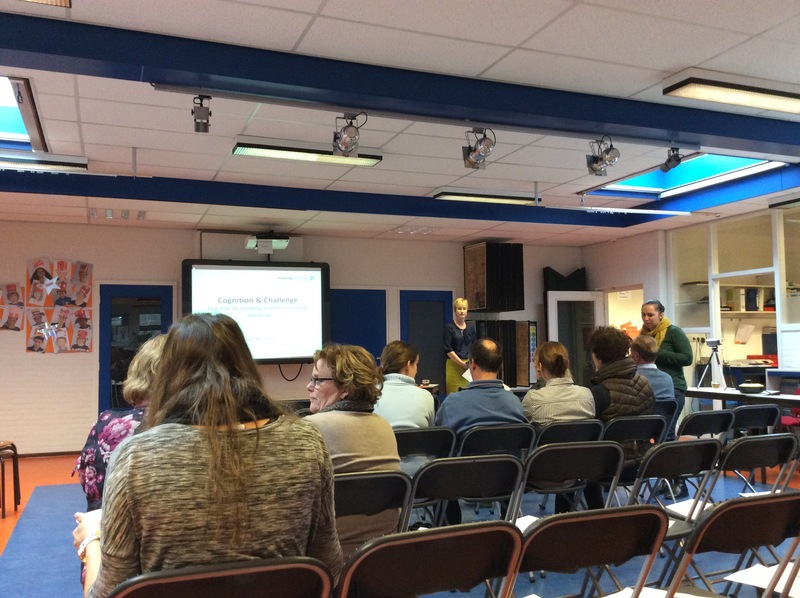 The conference in Apdeldoorn was very interesting and was an opportunity to hear and discuss many ideas and thinking about learning. We also shared our practice and examples of our work Including SOLEs and our award winning ‘what if ..?’ project with Durham University at the conference with over 150 delegates. 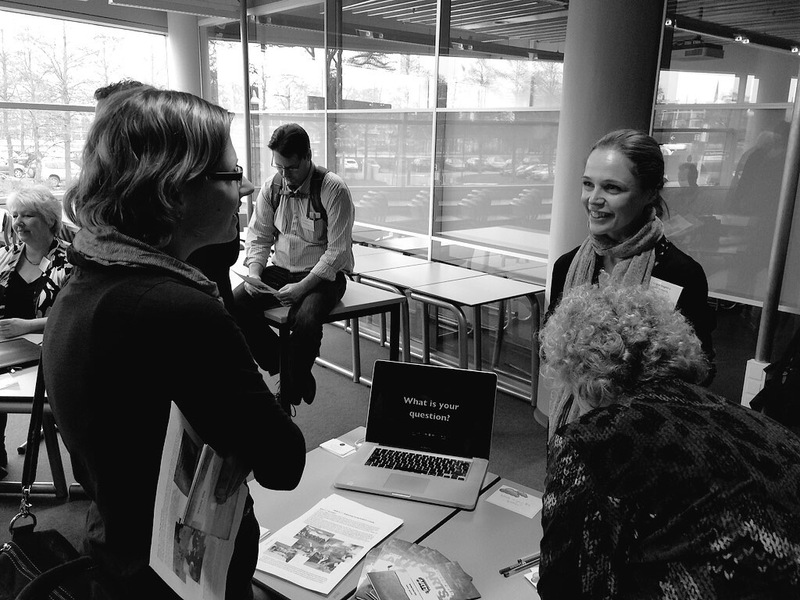 We made a lot of new contacts and had some stimulating discussions about learning. We were able to visit Amsterdam in amongst our busy four day schedule too. 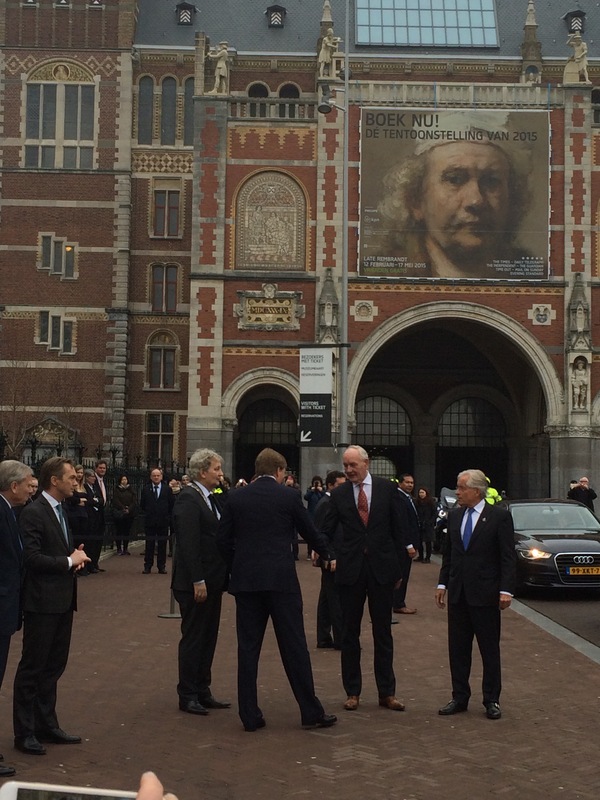 We even saw the King of the Netherlands! It has been a great trip with time to reflect on practice, share our experiences and ways of working and meet with many like minded people who want to encourage change for learners. 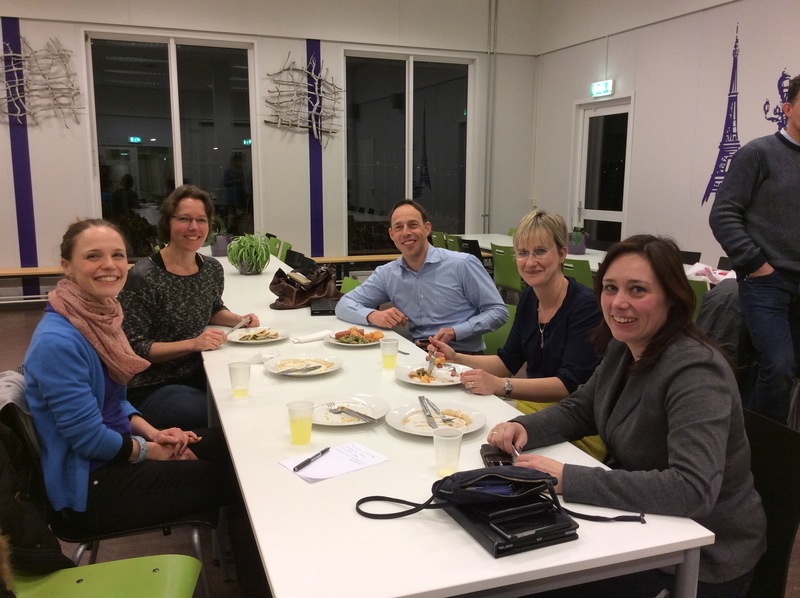 We are looking forward to our colleagues from the Netherlands working with us on a SOLE about the moon in March and looking forward to them visiting us in April. Wow. 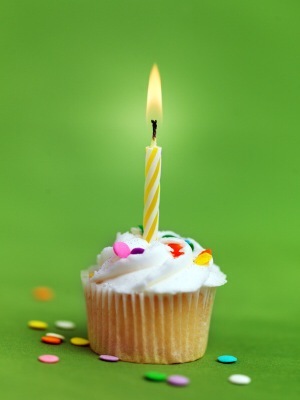 Room 13 School in the Cloud lab opened one year ago today on 13th February 2014. So much learning has developed and so many connections have been made with friends near to us and new friends from across the world. Thank you to Professor Sugata Mitra for choosing to work with us and develop one of his 2013 TED Prize winning labs here at Greenfield. It is a privilege to be one of the seven labs across the world exploring SOLEs as part of this School in the Cloud TED Prize wish. Over 33 different facilitators/teachers have done 1 or more SOLE sessions in Room 13. There have been over 19 different subject areas covered. 4025 young people have had a SOLE in Room 13. Over 160 SOLE sessions have been recorded. Students from Year 2 – to Year 11 have had a SOLE in Room 13 (age group – 5 – 16 year olds) and we have had many community and holiday sessions. We have worked with partners from 7 different countries and worked with over 10 different partners from other schools and educational institutes. We have shared our experiences at 12 different conferences or events. The Engine Heads have led 6 teacher SOLE sessions. We have worked with 2 different staff enquiry groups and explored several mini research areas. Phil Wilson MP came to listen to the EngineHeads last week and understand the areas we are exploring in Room 13 and SOLEs. 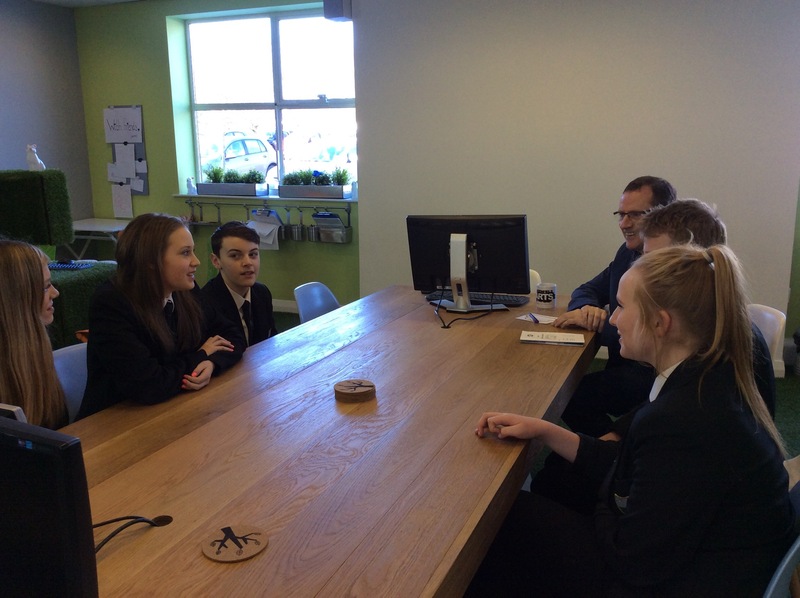 They talked about the impact that Room 13 is having on them and how it is making a difference across the school. Phil gave us one of his big questions ” why is water wet” and the group talked about the kind of questions that make a good SOLE session for them. Max explained that it is often a question that has a potential for a number of different answers. He also said that sometimes it’s good to think about what might be the answer but then after a SOLE, using the Internet and working in collaboration, you realise there are other ways of looking at it. It was good to hear the EngineHeads share their work and what they have been doing. They were beginning to appreciate the impact the work they have been doing is having on teaching and learning. I’m really pleased they are starting to realise the affect they are having and how they creating change through this innovative practice!